HAYS, Kan. -- Fort Hays State University’s Virtual College has once again been named a Military Friendly® Gold School by Victory Media, originator of a family of Military Friendly employment, entrepreneurship and education resources for veterans and their families. 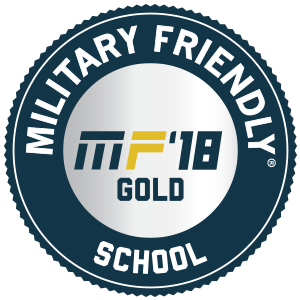 Fort Hays State also earned Military Friendly-Gold recognition in 2017. Military Friendly is the standard that Victory Media uses to measure an organization’s commitment, effort and success in creating sustainable and meaningful benefit for the military community. “Institutions earning the Military Friendly® School designation were evaluated using both public data sources and responses from a proprietary survey completed by the school,” says the Victory Media website. Institutions earning the Military Friendly® School designation were evaluated using both public data sources and responses from a proprietary survey completed by the school, and for the first time, data from a student satisfaction survey was included this year in the material evaluated. The student survey was voluntary this year, but institutions will be required to provide student satisfaction data for next year’s rankings. More than 1,300 schools participated in the 2017-2018 survey with 849 earning the Military Friendly designation, said Victory Media. Less than 200 earned Gold level recognition across the 11 categories. That number includes Victory Media’s Top 10 institutions in each category and the institutions in each category that scored within 10 percent of the point value awarded to No. 10 institution. The categories are Online/Vocational; Non-Traditional; Graduate School, Small Community College; Large Community College; Small Public; Large Public; Private Offering Doctorate; Private Not Offering Doctorate; Tier 1 Research Institution; and Tier 2 Research Institution.  Fort Hays State is listed in the Online/Vocational category by Victory Media. The Military Friendly® Schools list, now in its 16th year, is a comprehensive guide for veterans and their families using data sources from federal agencies, veteran students and proprietary survey information from participating organizations. The 2017-2018 Military Friendly® Schools list is in the December issue of G.I. Jobs magazine and can be found at www.militaryfriendly.com. The annual Military Friendly® Schools list is based on extensive research using public data sources for more than 8,800 schools nationwide, input from student veterans, and responses to the proprietary, data-driven Military Friendly® Schools survey from participating institutions.